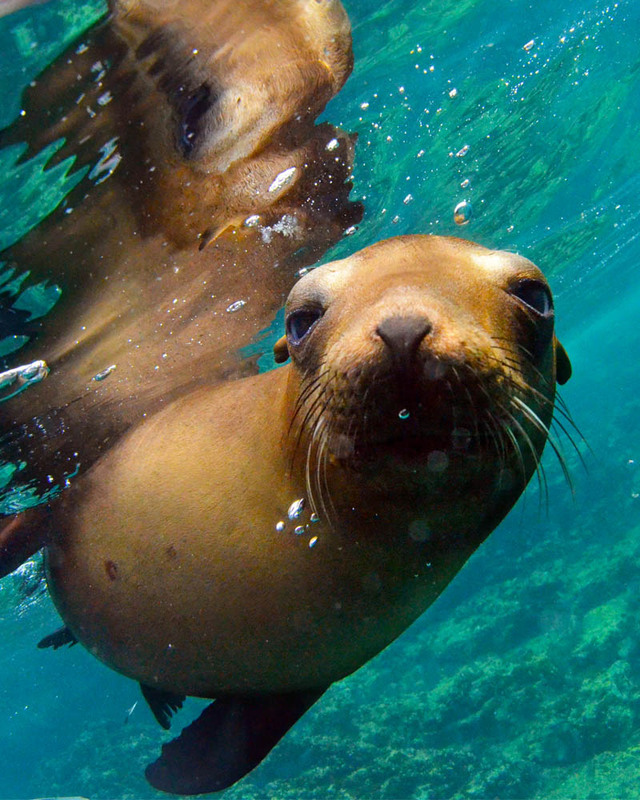 Let us help you fall in love with the Sea of Cortez through guided, close encounters with some of its wild residents. Snorkel with playful sea lions and gentle whale sharks, and have joyful interactions with baby gray whales. If you can float, you can do this trip! Your friends won’t believe your pictures. 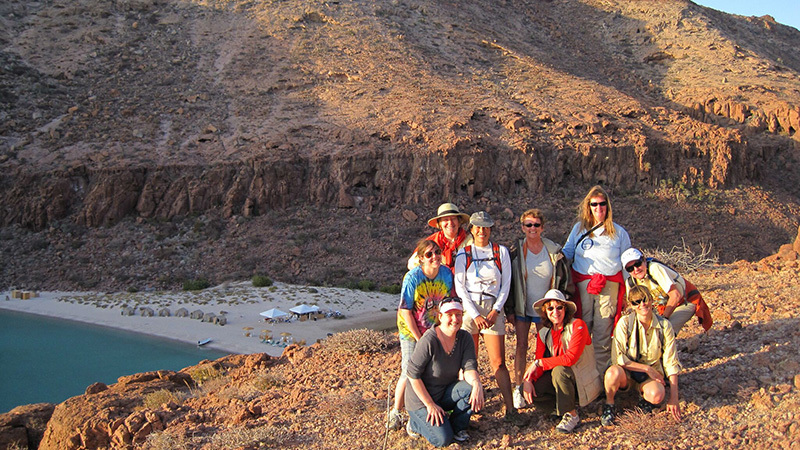 Join this all women snorkeling safari and wildlife adventure with the perfect combination of R&R and guided activities. 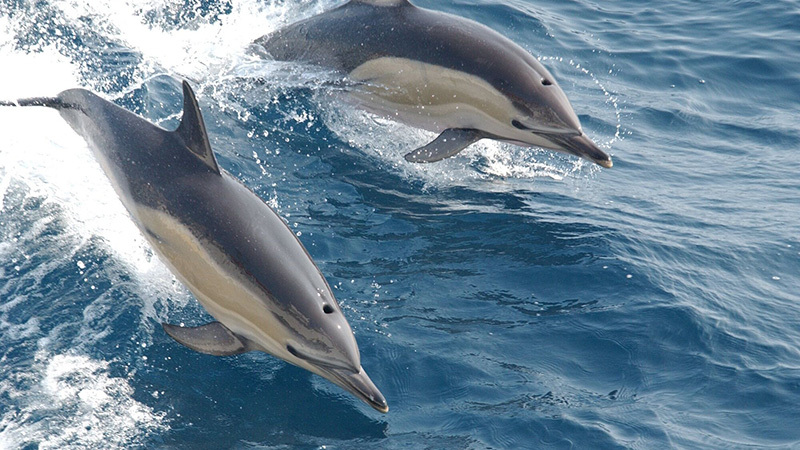 You will explore shallow turquoise bays, rocky shorelines, and shallow coral reefs to get close Baja Sur’s most amazing animals in the Sea of Cortez and Magdalena Bay. If you can swim, you can do any activity on this adventure. We’ll help you become comfortable with snorkeling and kayaking through personalized instruction, proper gear fitting and education about the surrounding environment so you can focus on taking in the sites, soaking up the experience, and capturing your moments with photos and videos. – Your friends will not believe your pictures. 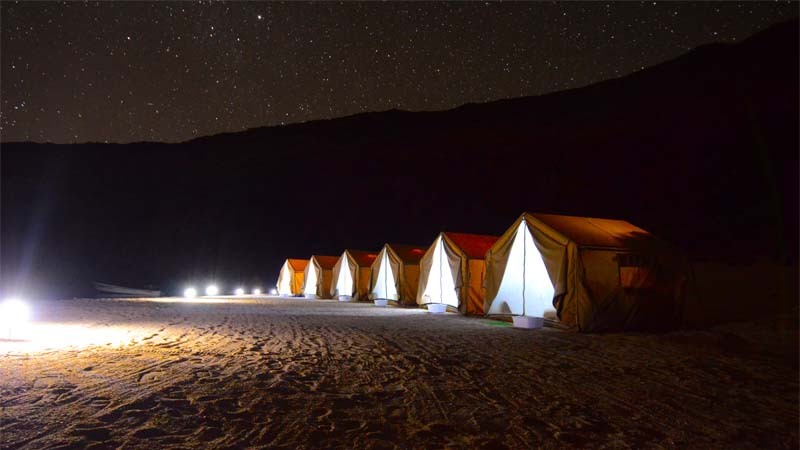 Spend four unforgettable nights glamping on Ensenada Grande beach — a billion-star resort, of which The Travel Magazine has dubbed as “absurdly beautiful” and swimming in its water is like “swimming in a bottle of Curacao.” Far from roughing it, think if the camp as a tent resort. Enjoy chef-prepared meals with fresh ingredients brought in daily, a variety of beverages, and the support of a full crew. 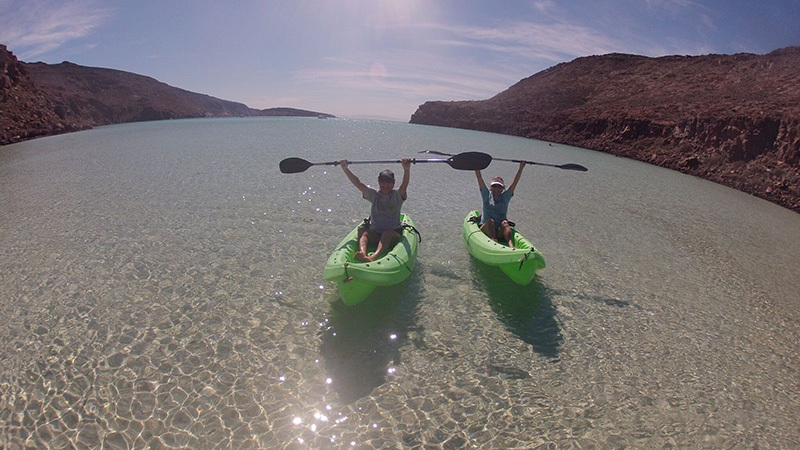 Now is your chance to experience the Sea of Cortez and our billion star hotel! Led by a Green Edventures’ Naturalist and expert local guide, enjoy the luxury of remoteness with delicious food, comfortable accommodations, and fun outdoor adventures like snorkeling, kayaking, whale watching, snorkeling with sea lions, and snorkeling with gentle whale sharks with new friends. All skill levels welcome. No experience necessary. 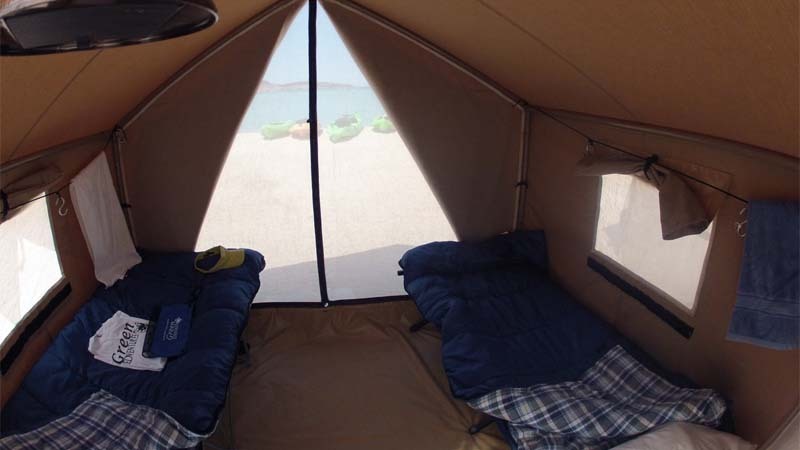 Glamp on one of the world’s most beautiful bays – it’s not roughing it at all. Guided snorkeling trips in small groups to explore coral reefs, rocky reefs, and sandy bays. Sea kayak along volcanic rocks, sea caves, and arches to get up close to shore birds and sea lions. 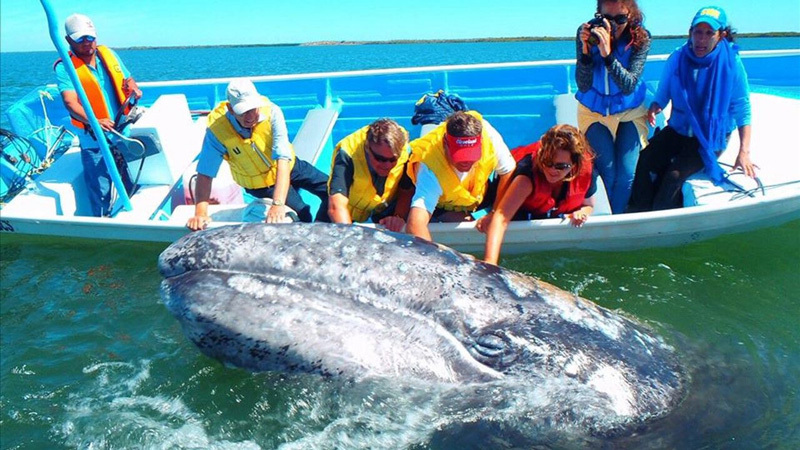 Spend a day having close encounters with Gray whales at Magdalena Bay. Plunge in and play with 400 wild and friendly sea lions. Taste tequila! This tequila talk will introduce you to different types of tequila and the tequila making process. Informal evening presentations about ecology and conservation. Snorkel with whale sharks!! These gentle giants are the largest fish on Earth. Optional: Certified divers can add SCUBA for $180 for 2-tank dive or non-certified divers Discover SCUBA for $220 for 2 tank dive and land lesson. 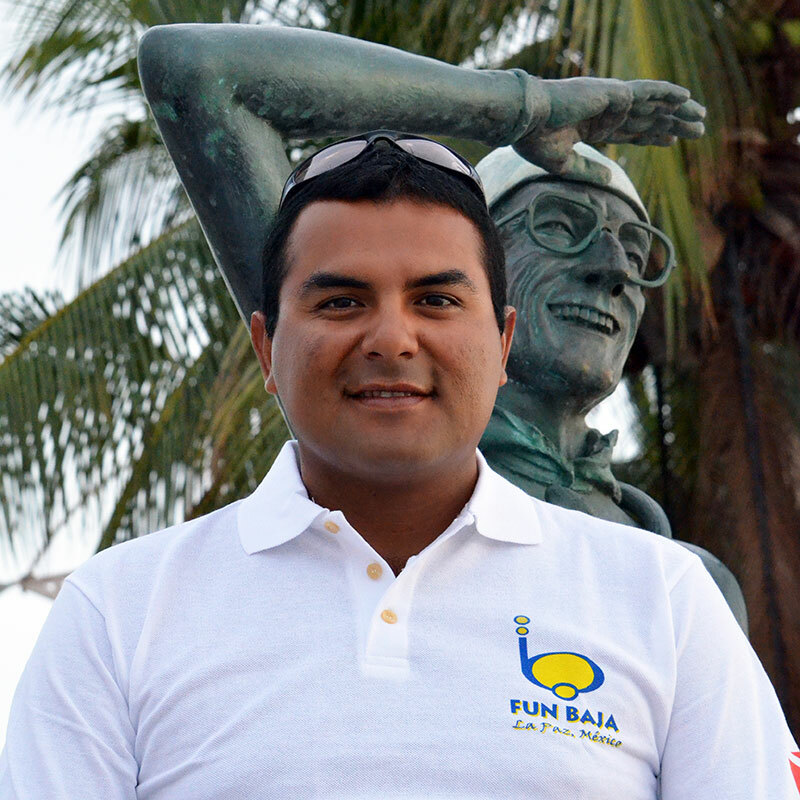 Chabelo (Pronounced Chaah Bell-O) is a Divemaster for Fun Baja Diving & Eco-Adventures based out of La Paz. Chabelo has been instructing and leading SCUBA divers for 15 years with Fun Baja and instructing snorkeling and free-diving with Green Edventures for 8 years. Our guests consistently tell us how they appreciate the care and attention he gives to everyone in the group. Chabelo is funny, playful, and loves to share everything he knows about his backyard, the Sea of Cortez and his home, La Paz. Chabelo is talented at finding marine life so participants can see the most of the reef. He is also a sea lion whisperer. 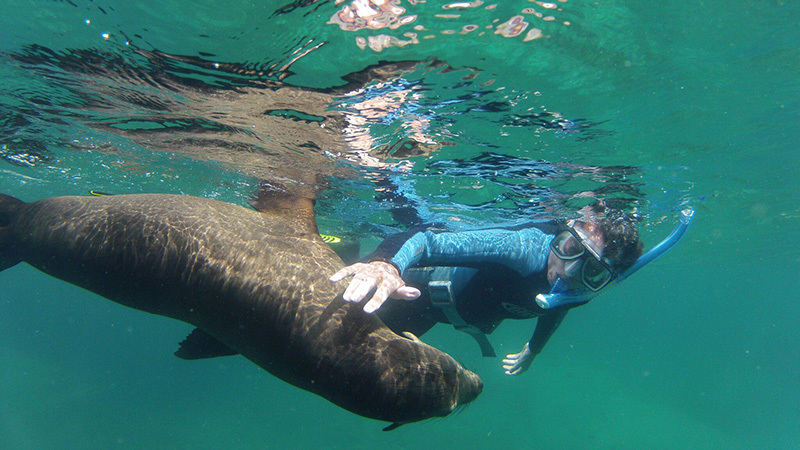 With him, you will see and interact with the sea lions in a very special way. Your friends won’t believe the pictures! Night 1: Hyatt Place, La Paz. Night 2: Hotel Misiones, Insurgentes. Night 7: Hyatt Place, La Paz. Flights arrive to San Jose del Cabo which is the airport that services Cabo San Lucas. Participants are transported via 15-passenger air conditioned vans to La Paz. 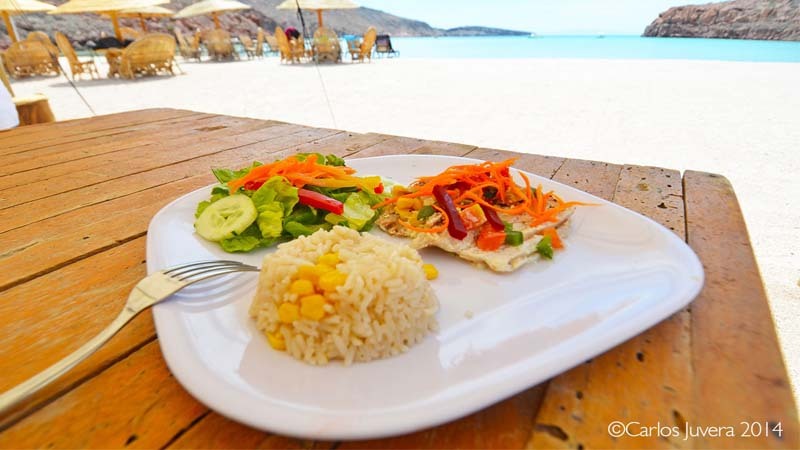 Trip duration is about 3 hours with a stop halfway in San Bartolo for a light lunch and bathroom break. We check into hotel in La Paz followed by dinner and socializing. We will depart the hotel in La Paz at 6 a.m., stopping for a bathroom break about 1.5 hours into the trip and then again for breakfast in the town of Constitucion. The transfer is 3 hours from La Paz to Puerto Lopez Mateos. The group will go whale watching in the morning and again after lunch. Overnight in Insurgentes. We arrive early in at the docks in Puerto Lopez Mateos for another round of whale watching in Magdelena Bay. After whale watching, we will have lunch and then head for La Paz. 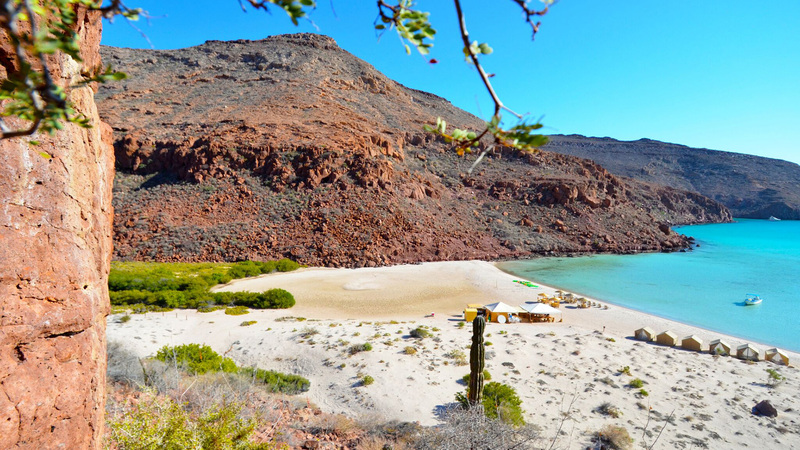 The trip from Costa Baja Marina in La Paz to our camp on Isla Partida (adjacent to Espiritu Santo) is 26 miles by boat. We will arrive at the beach camp before sunset. The crew will already have camp set up for us. Dinner will be served and we will settle into our home for the next few nights. 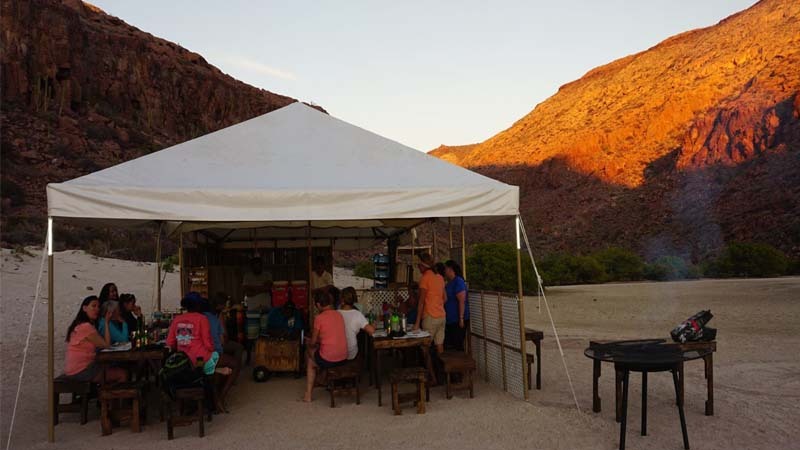 A morning hike at El Cardonel is followed by an afternoon of snorkeling the coral reef at El Corralito Learn about, and sample, tequila at the evening program. We will travel to the Los Islotes Sea Lion Colony for snorkeling after breakfast. The afternoon activity will be determined by the participants’ interests. There are dozens of other snorkeling sites and other places to hike. Those who choose to SCUBA will do so this afternoon. In the evening we will have a presentation by a local artist. 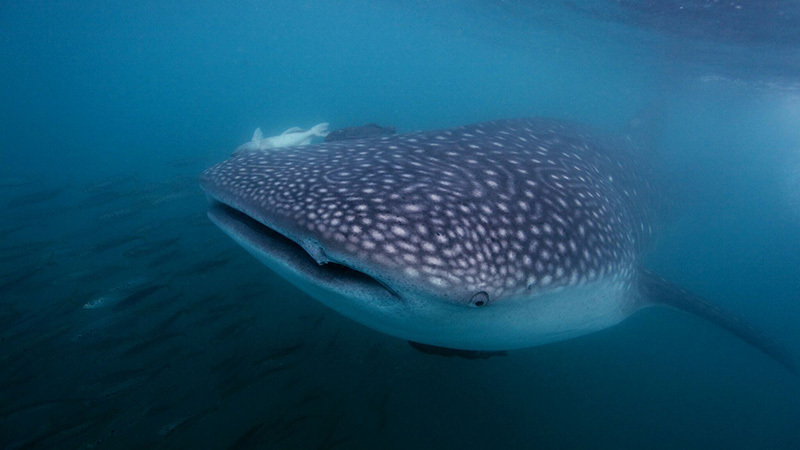 Search for whale sharks in the Bay of La Paz. Participants may have the opportunity to swim with these gentle giants. Return to La Paz and move into Hyatt. Participants will shop for souvenirs and explore the La Paz with dinner in town. ►Day 8: Group Transfer to the Airport. After a delicious breakfast buffet at the hotel, we will load the vans to start our journey to the airport in San Jose del Cabo. All scheduled activities listed on this page including snorkeling, kayaking, hikes, and gray whale watching trip. Group ground transport from San Jose del Cabo Airport (SJD). Authentic delicious and healthy meals from dinner on arrival day to breakfast on departure day. 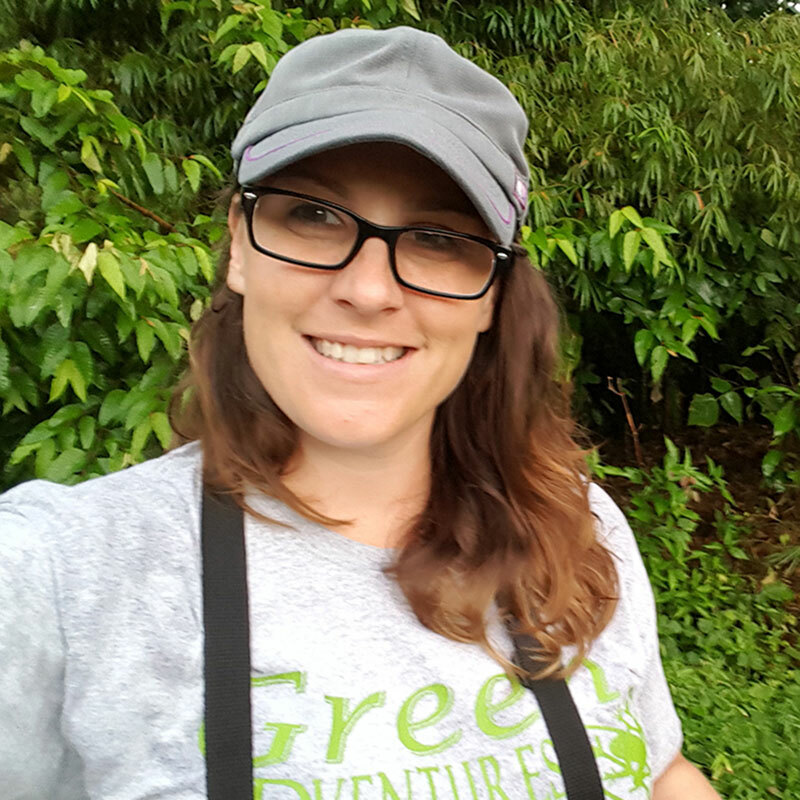 24/7 Onsite support from a Green Edventures Program Manager and/or BOW Rep & Local Guide. All payments are non-refundable. In the unlikely event that we are unable to fill the trip, a full refund will be given.